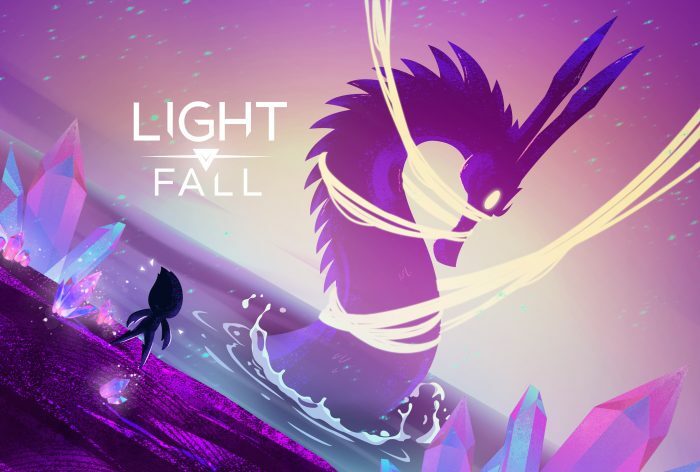 Light Fall has been released for two weeks already on Nintendo Switch and Steam. Since then, we have been monitoring the feedback, reactions and comments from the public and the press alike. While we are pleased with the overall reception and the reviews, it is apparent that some things need to be improved to be on the same level as the rest of the game. In this case, we feel like the last boss and the way the yellow collectibles are presented both need to be changed. 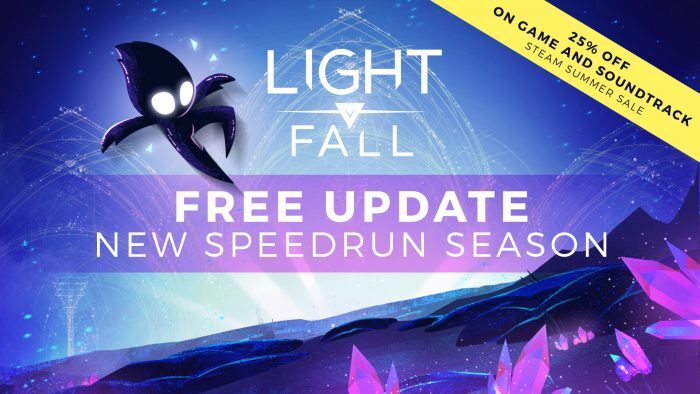 Let’s talk about our next Light Fall update. While we are happy with the overall review score of the game, it indeed has flaws that need to be improved. Let’s talk about this guy. While we will avoid spoilers for those who may not have faced the last boss yet, what we can say is that… we hear you. We agree with you. Yes, the last boss can be infuriating. Yes, he can be unfun. He takes exactly what makes Light Fall cool and throws it out the window. Simply put, the last boss in his current state does not reflect the vibe and the gameplay of Light Fall. 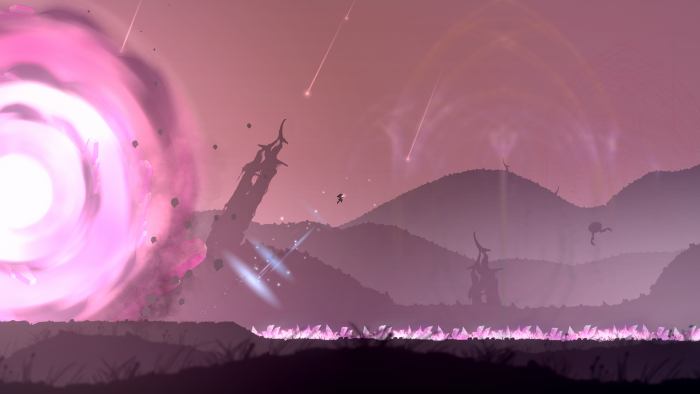 A last boss is supposed to be the epitome of a game; it is supposed to be fulfilling, challenging and fun. Right now, it’s not. This is why we have decided to rework it completely. You read that right, we’re not merely gonna add a checkpoint or alter some values… We will bring a totally different boss to the table. We’ve gathered a lot of feedback and also had our own ideas. Expect a much cooler fight this time around. And for those who actually liked the boss, you will still be able to challenge him in a special level in the Level Selector menu. So nothing is lost there! We’ve also received a few complaints about the way the yellow collectibles are presented in-game. A lot of people found that the text would scroll too slowly when you brought back a shard to a checkpoint. 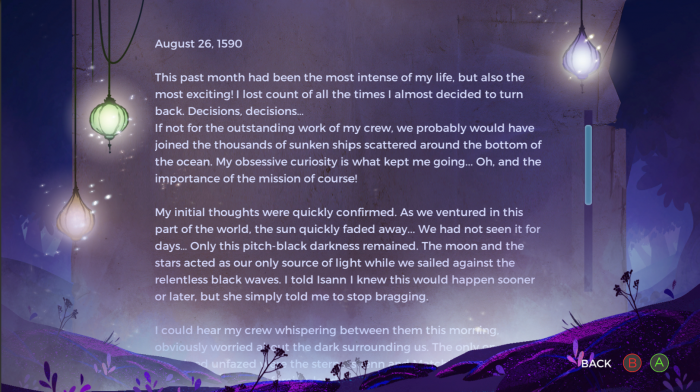 Previously, at PAX, people claimed it was going too fast… Others simply didn’t like being disturbed in-game by lore texts popping up on the screen. It became apparent that it would be impossible to please everyone with our current implementation. That is why we are thinking of a new way to introduce the lore texts. We are still evaluating different scenarios, but we’re leaning towards the ‘Extras’ section of the menu. We would add a Collectibles section to this menu, which would allow you to scroll and read through the pages at will. 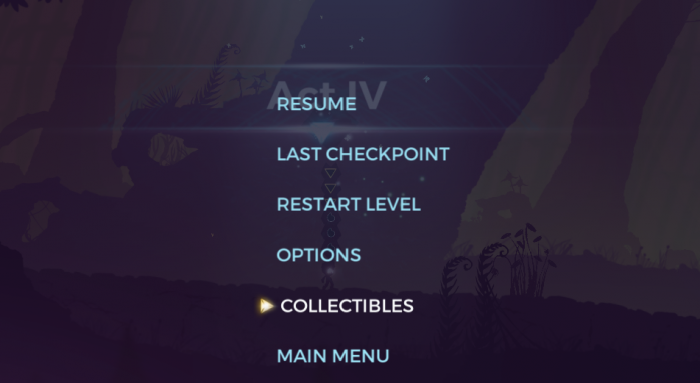 In-game, a pop-up could appear on the checkpoint when you bring back a shard, telling you to hold a button to jump directly to the ‘Collectibles’ menu section. This way, people who don’t really care about the story are not impacted and people who do can easily access the pages before returning to the level. We’ve also fixed a few minor issues already. Most of these changes will be available right away or soon on Steam. For the Switch, we will probably wait to do one big patch. You can check the patch notes below. – Integrated a new option in the menu to invert the sprint functionality (hold button to walk versus hold button to sprint). This way, you won’t get finger cramps while playing the game! – Integrated a new option for windowed mode. Because, it’s 2018. – Steam avatar and username is now properly displayed in the menu (1.0.0c5). – AZERTY keyboard support is now available in the Options (1.0.0c4). – Improved the framerate with VSync enabled. We’re not sure who uses VSync, but there you go! 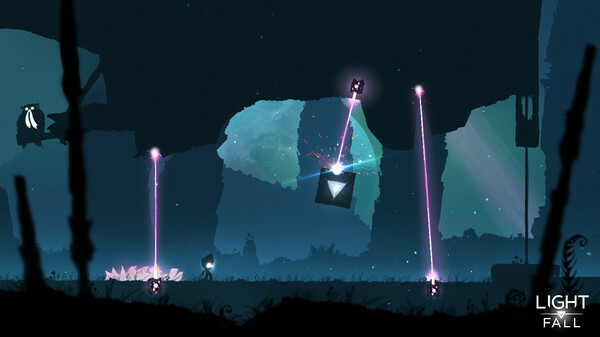 – Removed a hole in the ground in Act 1 – Level 2 where the player could get stuck. We also fired our previous level designer because of this (we really didn’t). – A complete revamp of the final boss (as mentioned above). Last boss should be fun and will be fun. – A new way to read yellow collectibles in-game (as mentioned above). – An improved and more consistent Speedrun by reducing RNG element, e.g. The blue crystals that spawn on the second boss will always spawn in the same order in Speedrun. RNG Gods have no place in Light Fall, only the Kamloops’ ones. – Game support for more aspect ratios than 16:9. Once again, because it’s 2018. This is it for now. Thanks for the support and if you have any feedback, please do not hesitate to get in touch with us. 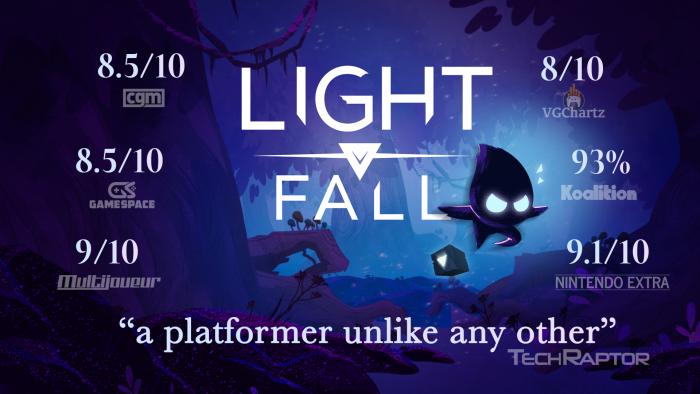 Light Fall remains our first game, and as such, it is far from perfect. We will continue to improve and your opinion will always be welcome.